The 2B is a standard diameter drumstick for the heavy hitter. Excellent larger general purpose sticks for rock, heavy pop and country or just practising on your pad. The nylon tip provides a brighter, more articulate sound. 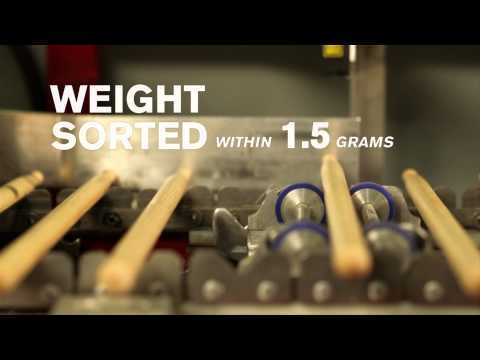 Because of its resilience, responsiveness and durability, hickory is the most commonly used wood for drumsticks. Hickory is the classic drumstick feel. For over 50 years, Promark has been one of the world’s leading manufacturers of drumsticks, mallets, and percussion accessories. Owned and operated by D'Addario & Co., the Houston, Texas-based Promark produces products used globally by the greatest drummers and percussionists in the world, including Neal Peart, Phil Collins, Simon Phillips, Ringo Starr, and many more. Promark – Make Your Mark.